How do I change the property address for my deal? Did you enter the wrong address for a deal? No problem! You can change the property address. Simply open the deal and click the arrow next to the property address. 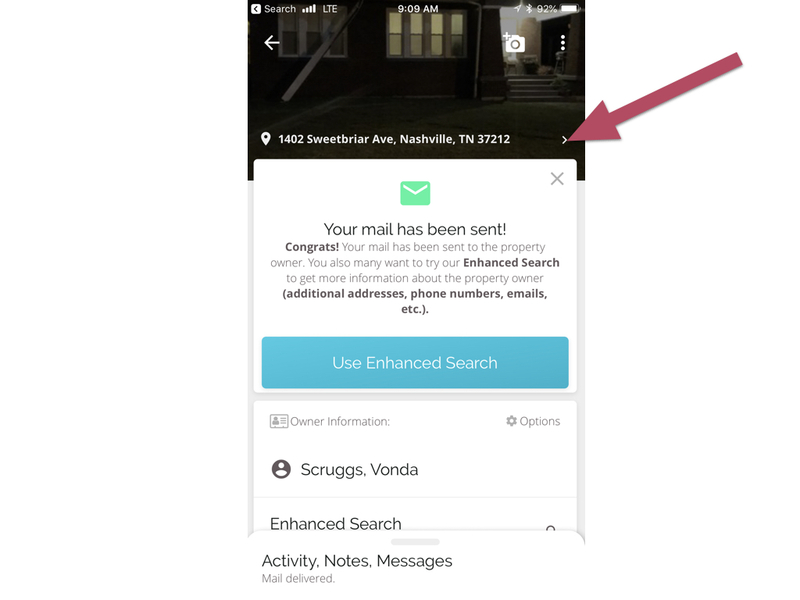 Note: if you don't see the arrow next to the property address, that means you've already sent mail or done an enhanced search and will need to delete this deal and add a new new with the correct address. Once you click the arrow button next to the property address, then you'll see a map that you can position over the correct house to change the address. Alternatively on the map screen you can click the written address and manually edit it.